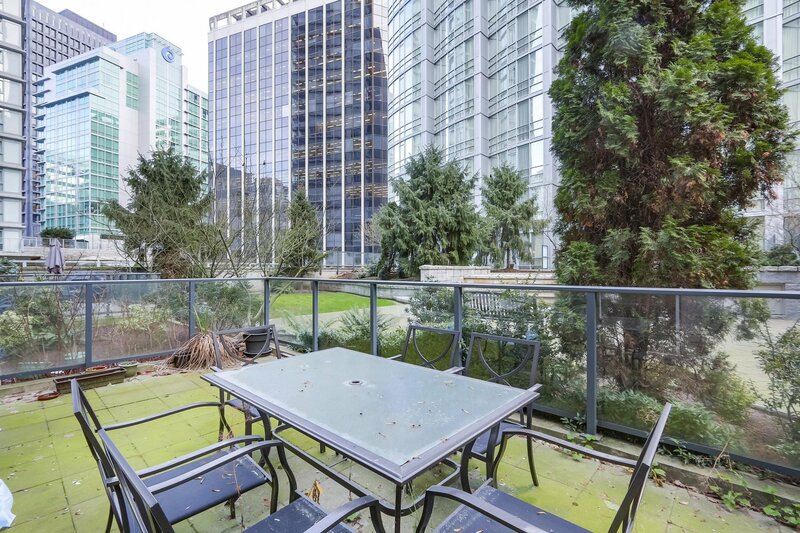 Extremely rarely available private Huge Patio (235 s.f !) 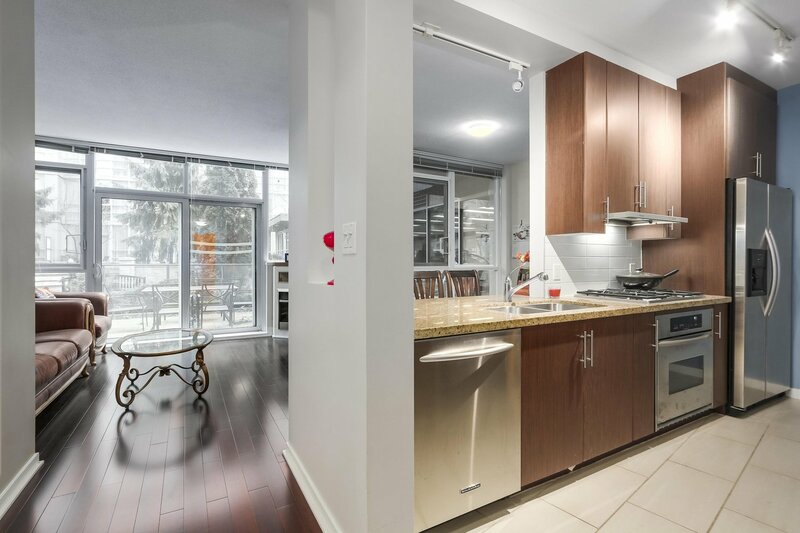 with Waterfall view comes free with this feel-like-house home with 9' high ceilings in prestigious The Melville! 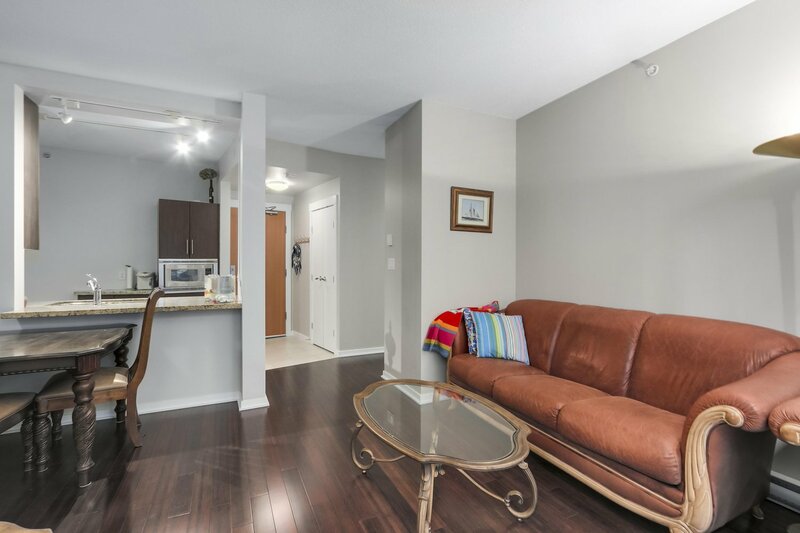 1st time on the market! 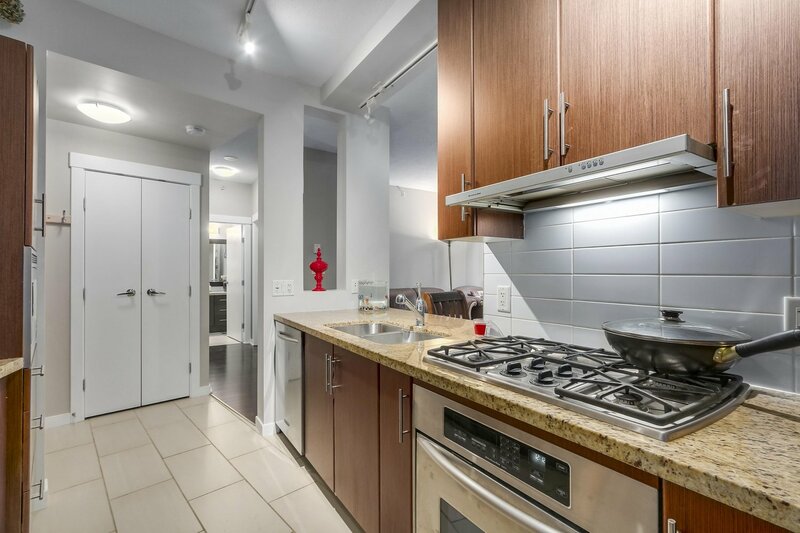 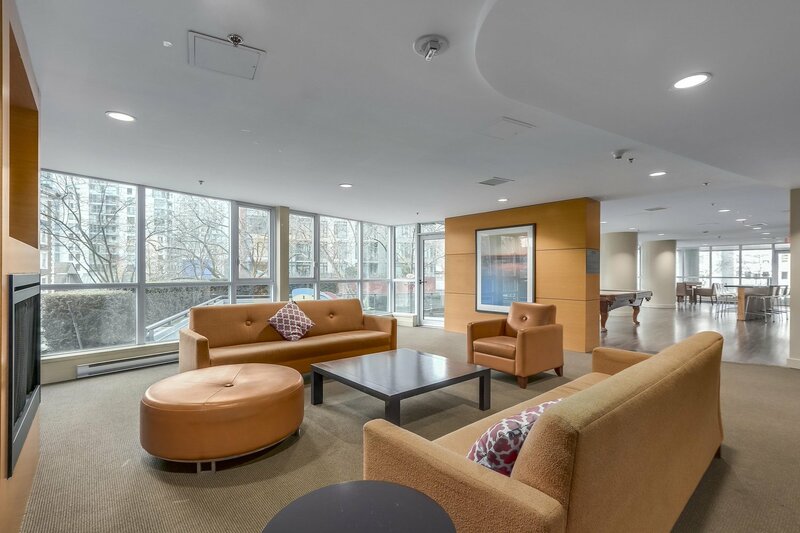 The floor to ceiling windows and a wide open floor plan make this larger (720 s) 1 bd + den home feel even larger. 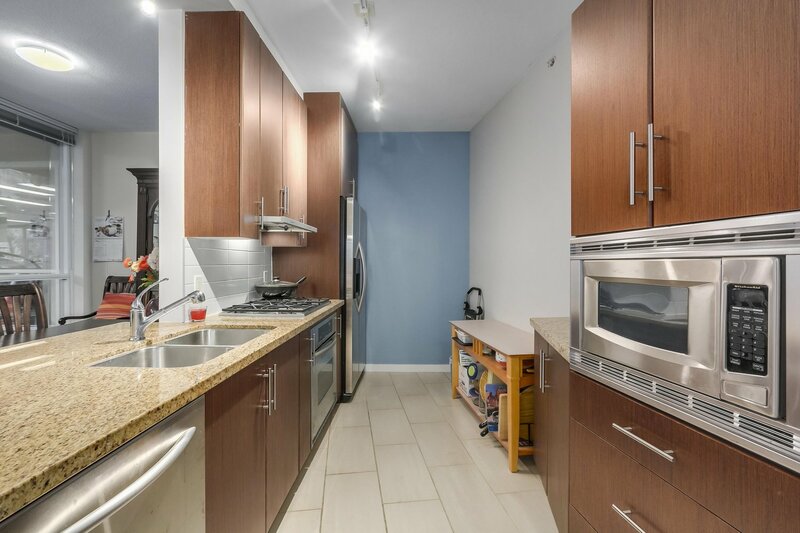 Enjoy spending time in the large chef's kitchen featuring a gas stove, plenty of counter space and ample storage. 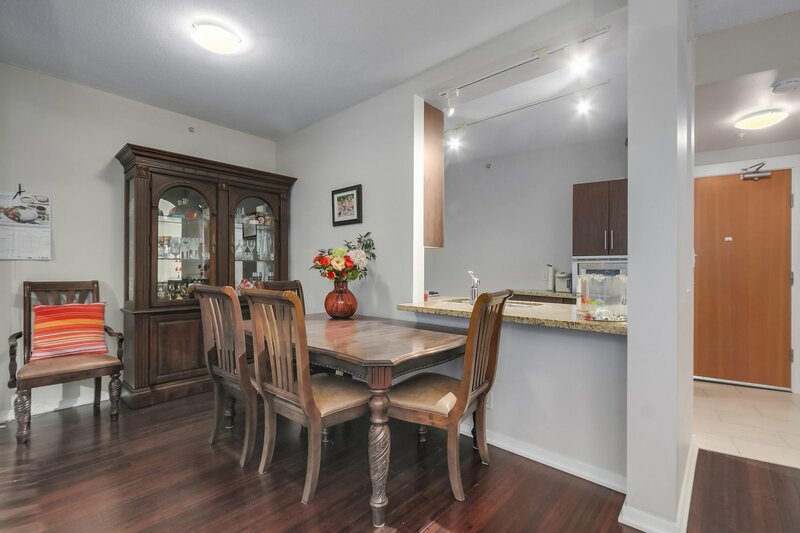 The formal dining room opens on to the outdoor patio, and there's a large den/office. 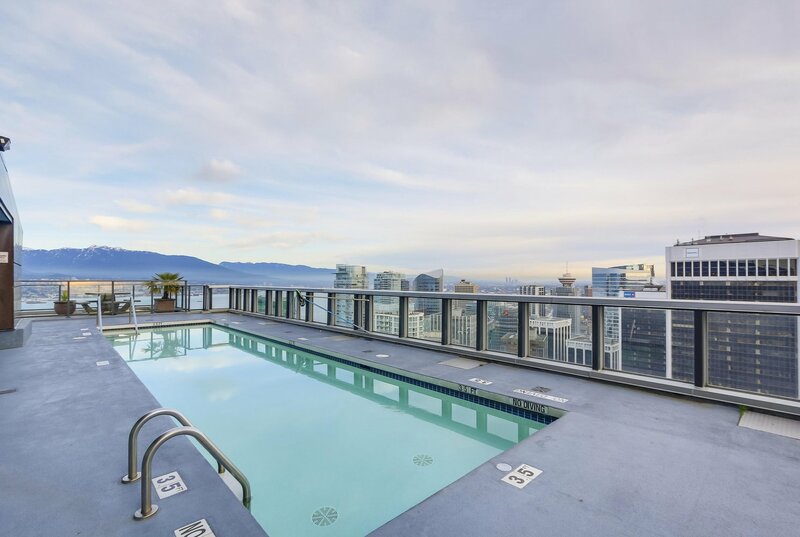 The building is famous for having an outdoor swimming pool and hot tub on the 44th level roof top deck! 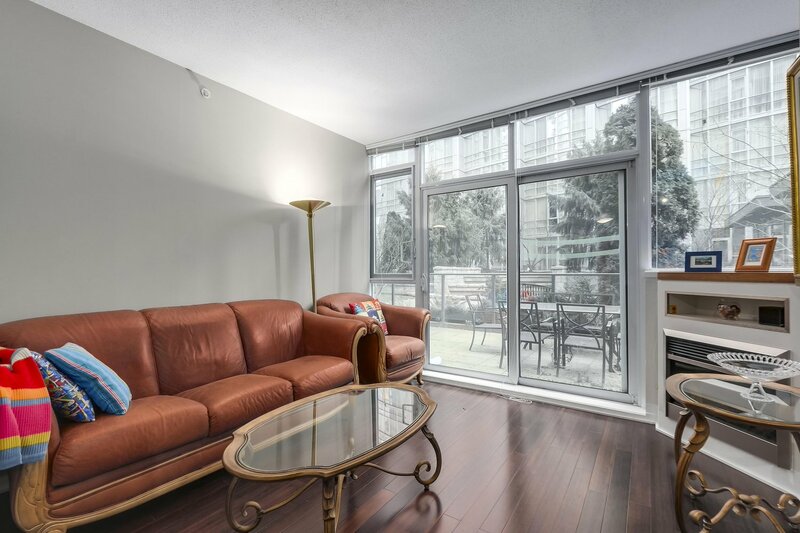 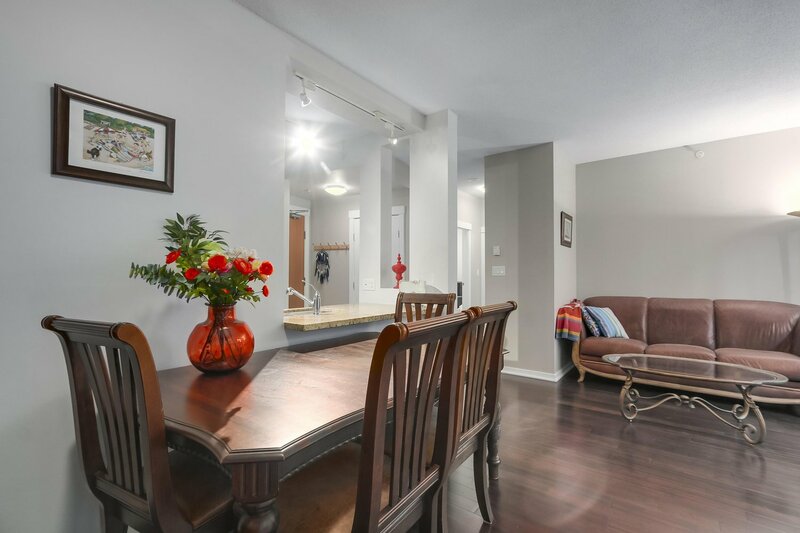 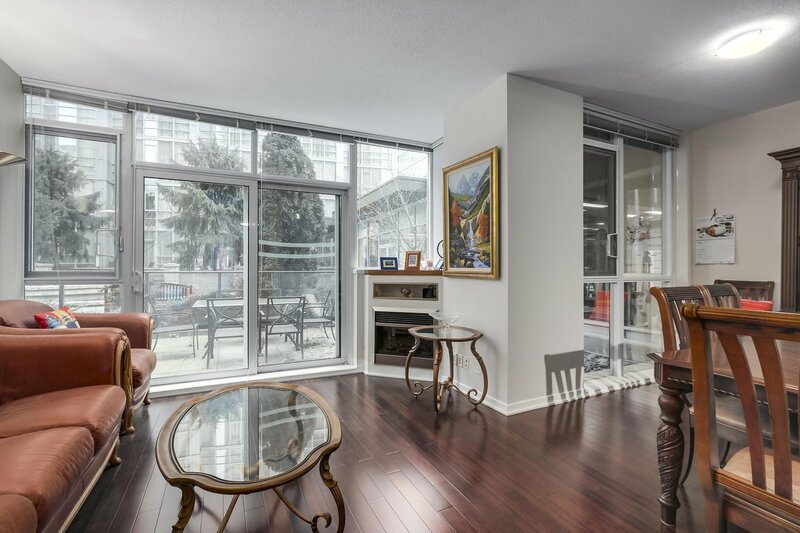 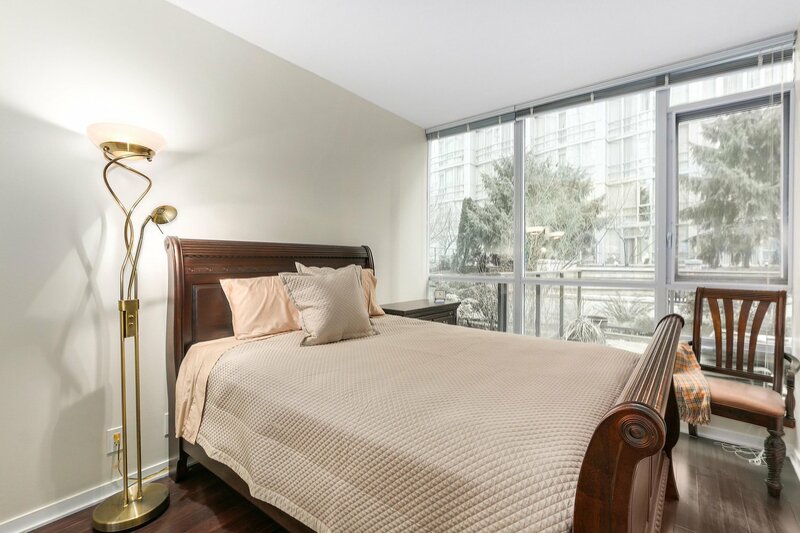 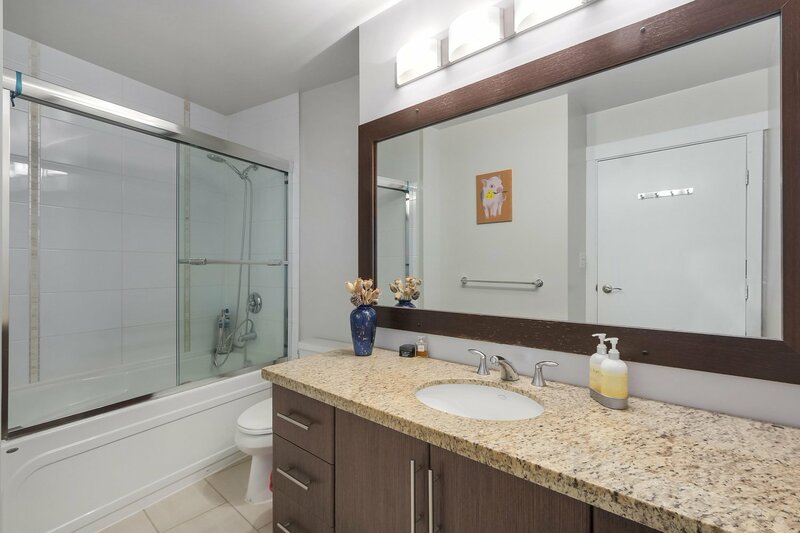 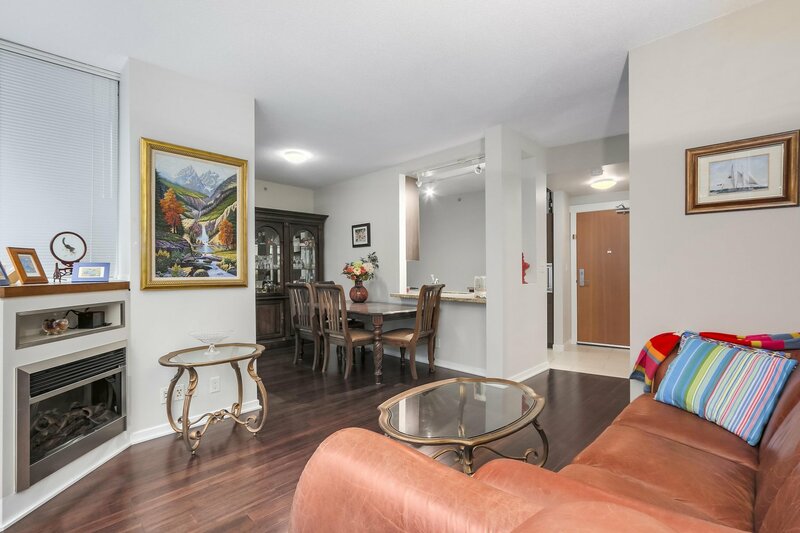 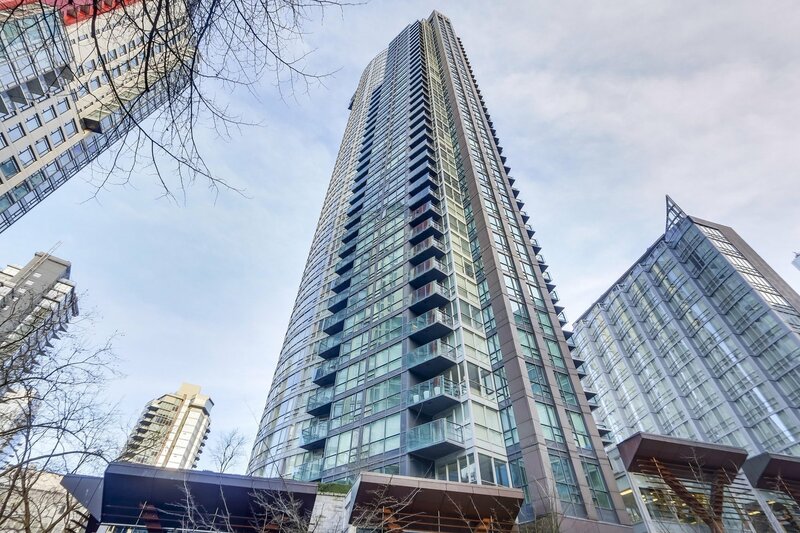 EXCELLENT LOCATION, walk to the waterfront, Transit, Robson Street, and Stanley Park. 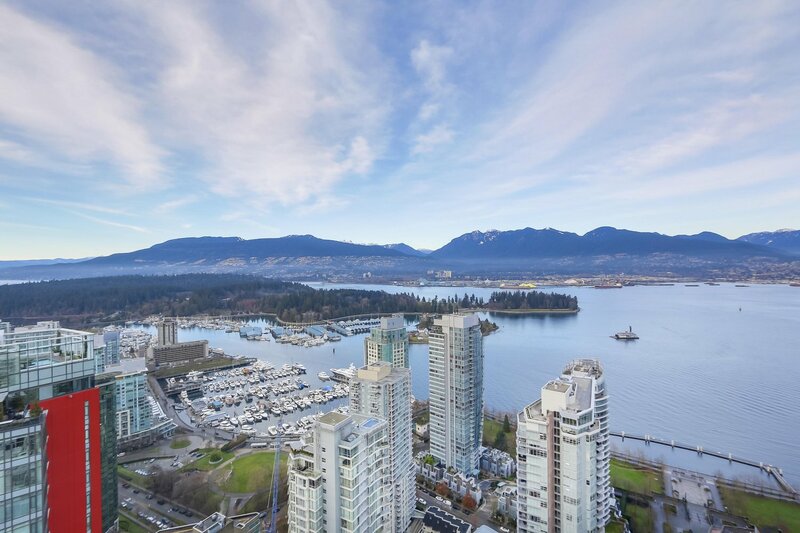 Serene countryside like living in modern Coal Harbour!